How to use FREE Local Listings on Search Engines…..Effectively! When I checked this morning on-line search for Local Products and Services is claimed by “internet experts” to be anything from 40% to 70% of all search…..of course this wide variance is dependent on what the internet “expert” is buying or selling locally……..
One thing is for sure Local Search is significant, and remember the Local Listings on Search Engines is FREE! The high popularity of Local Search, and high growth expectations with Samrt Phones and 4G, are the reasons the major search engines have improved the information and layout of the listing pages and why they are promoting “local” so much e.g. 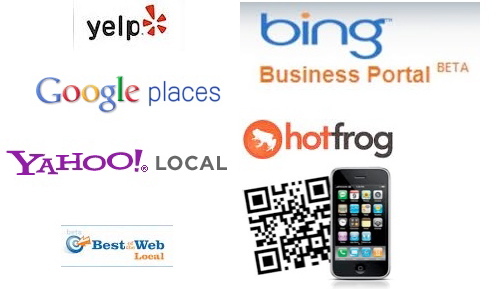 Google Places for Local Business and bing Local Business Portal . A large percentage of “local businesses” are either not using this Free Marketing Tool or not using the local listing effectively. For those businesses that do use it effectively, they have a significant competitive advantage!